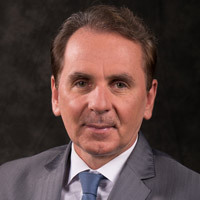 The following message from Provost, Senior Vice President and Chief Operating Officer Julian Schuster outlines changes in leadership duties at Webster's main campus. Beginning with the new fiscal year on June 1, the University will optimize its services for prospective and current students. Vice President John Pyle will begin supervision of the enrollment management unit at that time. Also, Vice Provost Nancy Hellerud will initiate her oversight of student affairs. 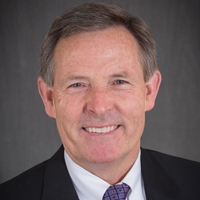 Robert Parrent, vice president for Enrollment Management and Student Affairs, has announced his retirement from Webster University, effective May 31. During his time at Webster, Parrent had a major impact on the University’s reach and enrollment of students in the St. Louis area. "My six years of service at Webster have shaped and touched me and for this reason, among many others, this decision has been difficult to reach," said Parrent, who says he is accepting "a new role as Dr. Grandparrent." Staff mentors have been selected for the Global Student Leadership Summit (GSLS), taking place May 27-31 in St. Louis. These individuals will guide student participants as they work on action plans, case study analysis, StrengthsQuest development, intercultural communication skills and more. The mentors represent a variety of departments and campuses throughout the Webster network. Webster students do great things every day. To recognize their accomplishments and connect their stories of success to our institution’s key stakeholders, the University has implemented the Merit Pages system to showcase the success of our students. A live tutorial is the best way to illustrate how Merit could be implemented. Patrick Giblin, director of Public Relations, will demonstrate the Merit system on March 19 and March 27 for faculty and staff, and provide information on how to get started. 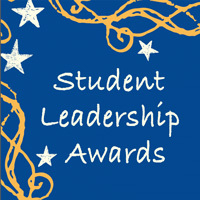 Student Leadership Award nominations are currently being accepted through March 1 (Walker Award nominations are due Feb. 22). Please take a moment to nominate a deserving student or student organization for recognition of their accomplishments during the 2018-2019 academic year. Click through for more information on the awards, nomination criteria and nomination forms. All nominees and nominators will be invited to attend the 26th Annual Student Leadership Awards dinner on Friday, April 26. Nominations for Student Ambassadors are now open. 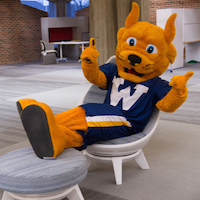 Founded in 2010, the Webster University Student Ambassadors serve as the official student representatives for Webster University's President's Office. Applications are due by Friday, March 8. HLC invites submissions for its 2020 Annual Conference art contest. As an HLC-accredited institution, all Webster students, faculty, and staff are eligible to enter. Submissions should be original pieces of art illustrating next year’s conference theme, “Lead the Evolution.” The contest deadline is February 11, 2019. The University Center will have a trial period of extended weekend hours in Fall II. 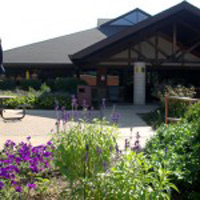 This trial period will be used to assess usage and determine whether or not to continue extended weekend hours in the Spring. 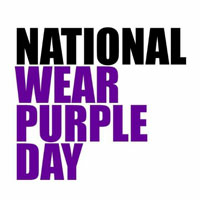 The Title IX Office encourages all students, staff, and faculty to join the Webster community in participating in National Wear Purple Day on Thursday, Oct.18 to assist in raising awareness for Domestic Violence. The Office of Student Engagement announces new SGA decisions. Two new student organizations were approved for the Webster Groves campus and two students were approved for the Student Grant Fund. 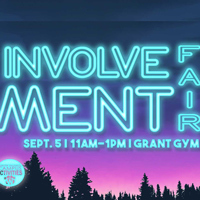 The annual Involvement Fair will take place Wednesday, Sept. 5, from 11 a.m. to 1 p.m. in Grant Gymnasium. The event is geared towards Webster student organizations, campus departments, and community friends to gather together to share information, recruit volunteers and new members and invite and encourage students to get involved. Webster campus departments and student organizations planning to participate with a display table must register here. 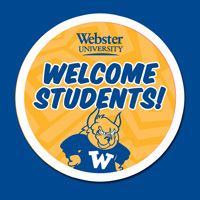 University community members are encouraged to welcome new and returning students by wearing the “Welcome Students” buttons each day and displaying the posters from Aug. 20-31. Buttons and posters (single-sided and double-sided) are now being distributed in the Welcome Center, 1st floor, Webster Hall. 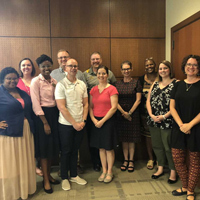 Staff members from seven departments attended a NASPA Student Affairs Administrators in Higher Education Certified Peer Educator (CPE) "train the trainer" facilitation Aug. 1. The CPE training helps train students towards the development of leadership skills so that they are more comfortable in engaging with their peers around important topics. This will be integrated into Residential Assistant Training, Peer Mentor/Connection Leader Training, Student Athlete Mentor Training, and much more. Contact Justin Barton if you are interested in the training for your student leaders. 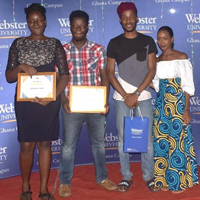 Webster University's campus in Accra, Ghana, held its 2nd Annual Student Awards Night to recognize student groups and individual students for their hard work and dedication to the office of Student Affairs, the Admissions office, and the University at large. Awards were presented to the student leaders by staff and fellows students of the university. They reflect growing engagement and leadership activity among the student body at the Webster Ghana campus. Associate Vice President for Student Affairs and Dean of Students John Buck has selected three individual students to receive the Dean's Award for Service for the spring semester 2018: Emily Mertz, Gorgeous West, and Elie Regev, all from the Webster Groves campus. 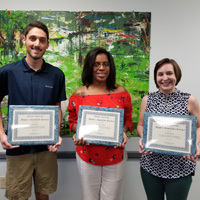 To be considered for the Dean's Award, students must be nominated by a member of the Webster University community for performing a valuable service both on- and off-campus.